I've been to the outlet in Sea Park but another outlet opened near my office at Fraser Business Park! Since its opening a few months ago, they have been fully packed during lunch time as office workers and students from the nearby HELP college drop by for lunch. Thus, you might wanna go earlier before noon or after 2pm to avoid the crowd if you can. 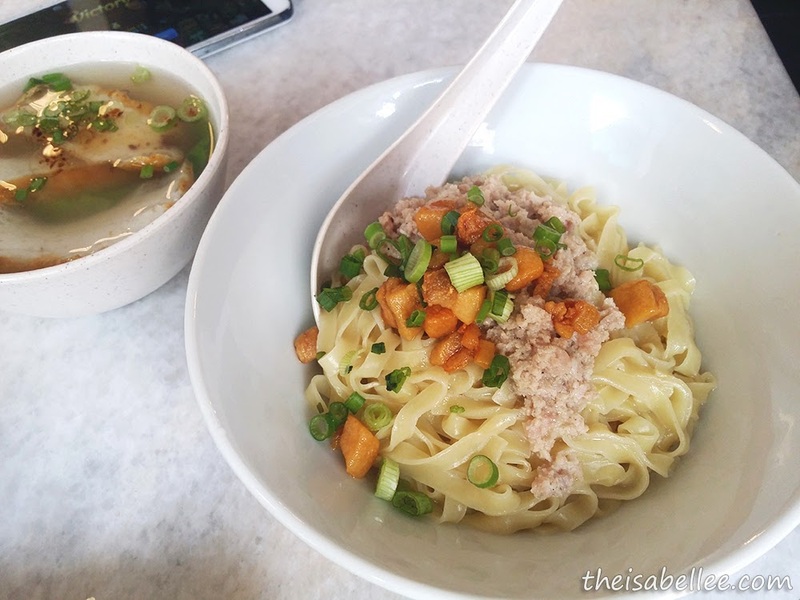 One of my favourite orders here is the Mee Pok. 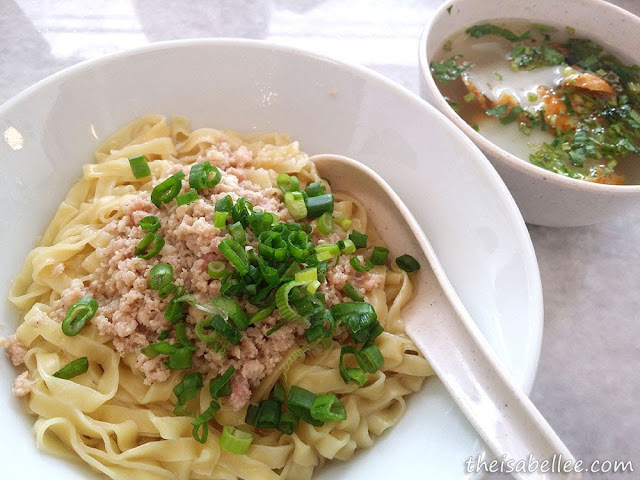 Don’t be misled by this plain looking bowl of noodles for the taste will surprise you. Make sure you mix it well as there is clear sauce/oil underneath. It will still look pretty pale but tastes very flavourful! They usually top it with fried lard but I asked mine to be without. Comes with a bowl of soup with celery (very strong taste so consider this a warning if you do not like celery) and fried fish cakes. I would recommend you to try this. Although it is unhealthy, the lard gives it a fragrant flavour that is irreplaceable. The menu is not very large but on our first visit, we were all very curious about this Celery Noodle and decided to try it out. We felt it was a healthier choice as the noodles were made from celery. Despite the bright green colour, the noodles did not taste like celery AT ALL! So for those who despise the pungent vegetable, fear not! It had a nice bounce to the noodles and I liked it so much, one bowl did not feel like enough. 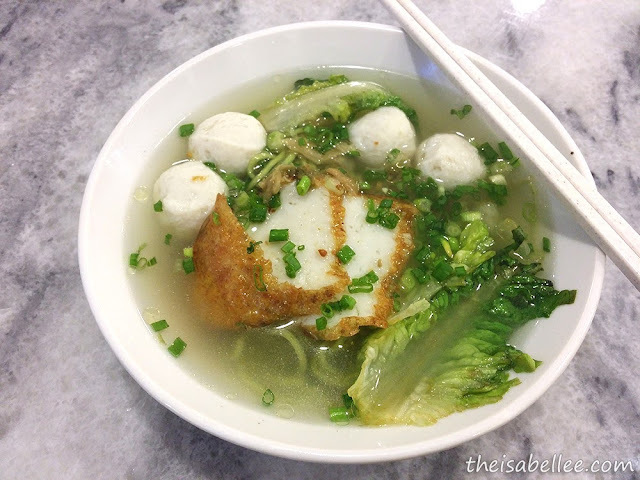 The soup was flavourful and I liked their homemade fishballs without boric acid and fried fish paste which was VERY fragrant. They put it in almost every dish so don’t miss out! I was looking forward to the same awesome sambal I had at their other outlet but the one here is very spicy so I gave it a pass. 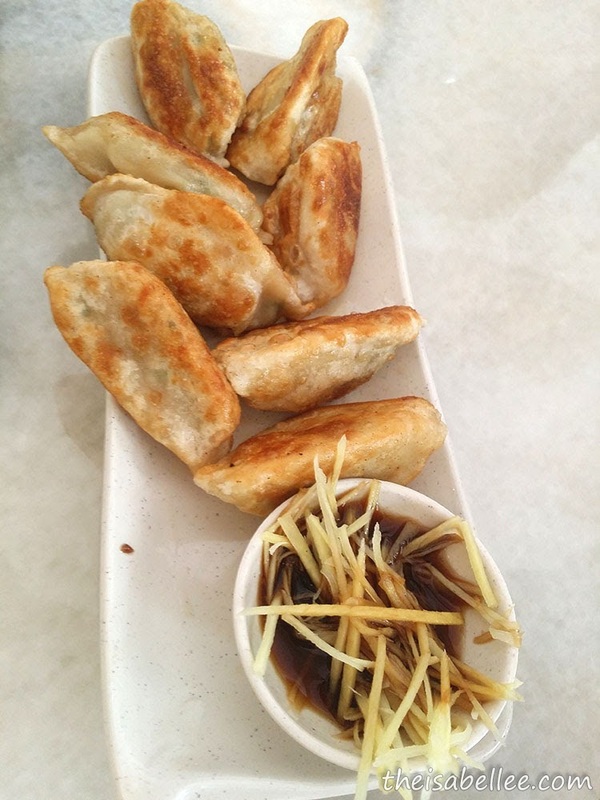 How could we miss their dumpling?! Careful when it’s hot! We burnt our tongue biting into it fresh out of the kitchen. I usually let it cool down first so I can have the whole thing in one bite! This is so that the juice doesn’t drip out. Tastes super super good! Also tried the Fish Paste Noodle Soup but I was a little surprised that it tasted different than the usual sour, clear and milky one I have. This one is oilier and with a much heavier taste. Fried lard is also added to this bowl along with the fried fish paste.